Typewriters have become so obsolete that they are artifacts in many cultural heritage museum collections. While it’s laudable to preserve those with rich provenances related to your institutional mission, it maybe worthwhile considering acquiring others for your site’s education collection. 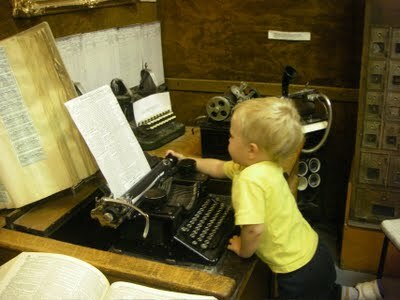 Several museums around the country have developed exhibit interactives and comment boards by using typewriters. The surprising thing about this activity is its attractiveness to Generations Y and young children. Youths know computer keyboarding well and a typewriter appears just familiar enough, yet different, to be intriguing. In addition to the way a useable typewriter beckons many visitors, these machines have two advantages as exhibition interactives. Affordability: Many selections are available on ebay for well under $100. Interested community members or businesses may even have some available to donate to your institution’s educational cause. Versatility: The typewriter relates to a variety of potential exhibition themes—antiquated office activities and literature production being among the more obvious. North Carolina has a wealth of writers from all regions of the state. Although representing them with non-book 3-dimensional objects can be a challenge, a typewriter interactive would be appropriate for those working in the late 19th – the late 20th centuries. 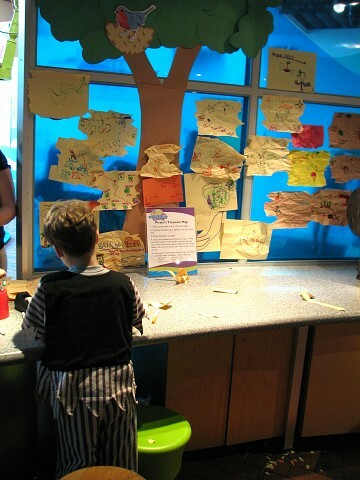 Letters to friends and family can be another topic that relates to many exhibit themes. Writing love letters on a typewriter was recently one of three participatory components of a “Love Lounge,” part of a larger exhibition on love in a California Museum. The museum’s director, Nina Simon, reported that it was “sleeper surprise” success and served as a quality participatory experience, rather than a quantity one. Although a small proportion of visitors chose the activity, those who did tended to work with it for awhile. One potential disadvantage is the maintenance and repair involved in typewriters as participatory elements. Simon’s museum experienced many breakdowns, but always found visitors willing to help staff fix the machines. Ribbon jumping was the most common problem. For other museums planning this type of interactive, Simon recommends taking typewriters into repair shops for “tune-ups” and trying to “ruggedize” them somehow before the show opens. 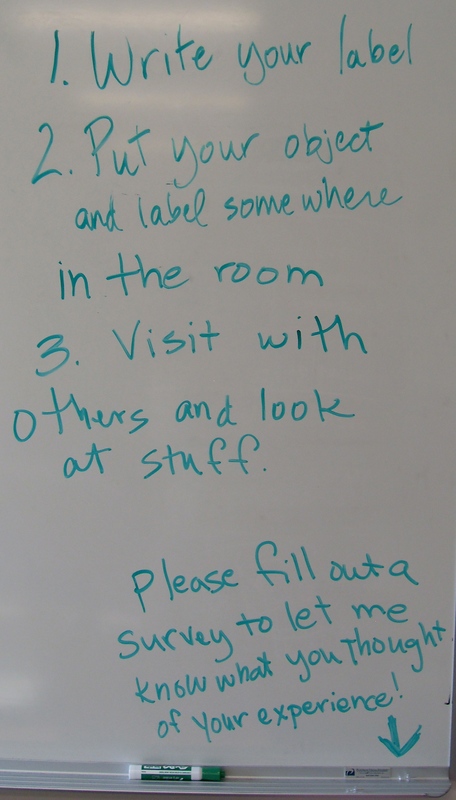 Of course, part of this participatory idea is having a bulletin board, or even a string with clothespins, where typists can display their own work and ideas. Has your institution tried this type of interactive? If so, would you recommend it?